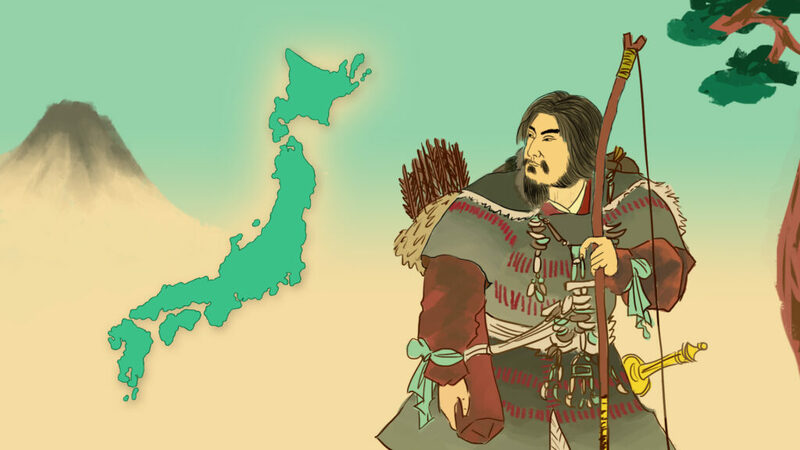 National Foundation Day建国記念日・けんこくきねんび marks the accession of Jimmu, the first Emperor of Japan to the throne in 660BC. It was established by the 明治時代めいじじだい・Meiji Government in 1872 under the name Kigensetsu (Empire Day) and was likely intended to legitimize the rule of the Imperial family following the breakup of the 徳川将軍とくがわしょうぐん・Tokugawa Shogunate. The first Empire Day was officially observed on 一月いちがつ・January 29th 1872 because, according to legend, Emperor Jimmu assumed the Throne “on the first day of the first month.” The first day of the first 月がつ・month on the Chinese lunar calendar corresponds with January 29th on the modern Gregorian calendar. In 1872 most of Japan’s population still used the Chinese lunar カレンダーcalendar despite the official switch to the Gregorian calendar. The result was that Empire Day fell on what most considered to be お正月おしょうがつ・New Year’s Day and a majority of people observed New Year’s Day instead of Empire Day. In response to this, the Meiji Government moved Empire Day to the 11th of February claiming that it was in fact the day of Jimmu’s accession. Before World War II, this holiday was marked by large parades, 花火はなび・fireworks and お祭りおまつり・festivals intended to focus national attention on the emperor, and was considered one of the 4 most major 祝日しゅくじつ・holidays in Japan. Empire Day and its original practices were abolished after the war, and, ironically, the first draft of the post-War constitution was approved by General MacArthur on February 11th 1946. February 11th was reestablished as 建国記念日けんこくきねんび・Founding of a Nation Day in 1966 and is marked by the raising of Japanese 国旗こっき・flags and reflecting upon the meaning of Japanese 市民権しみんけん・citizenship. Founding of a Nation Day remains somewhat controversial and displays of nationalism or patriotism are not common.